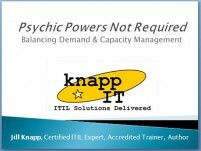 Service Level Managers should not be smarmy « Knapp I.T. Recently I considered refinancing my mortgage. With interest rates being so low these days, I could easily knock 2.5 percentage points off my mortgage if I refinanced. I called my mortgage company and asked for information, and I was connected to a mortgage loan sales guy. He was the only human I had ever spoken with at my mortgage company; he was the face of my mortgage company. Sadly, he was a stereotypical smarmy sales guy who was really trying to close the deal. He gave the hard sell (ick! ), he interrupted my questions (argh! ), and didn’t let me finish my answers (grrrr!). He pulled all of the typical annoying used-car salesguy tactics; e.g., “Let me check with my manager,” and “We have a special deal just for today, but you have to sign the paperwork in the next hour.” Uh, no. So I said “Thanks but no thanks” and I took my business elsewhere. Even if my mortgage company could give me the best rates around, I’d rather pay a touch more just so I can feel good about who gets the commission. What’s this have to do with ITSM/ITIL? If you’ve taken my ITIL Foundation class, you’ve heard me make the analogy that your Service Level Manager is the face of IT to the folks who buy IT services (a.k.a. The Customer, or The Business). The Service Level Manager is a unique bird, and needs to have some madd skillzz, yo: They need to speak both techie-speak and business-speak, and they need to accurately capture the needs of The Customer, and also accurately convey the capabilities of IT. They have to be great communicators, they have to have backbone, they have to be good schmoozers, they have to know how to close a deal, negotiate contracts, and most of all, they need to have the ability to say “no, I’m sorry” but still be likeable. Make sure the person/people in your Service Level Manager role has those qualifications, or the business may very well choose to take their business elsewhere, just like I did.